Most people know Paul Okoye as a member of a famous duo P-Square or as a solo artist RudeBoy a.k.a. King Rudy. However, the fact that he is also a wonderful father and husband often escapes media’s attention. 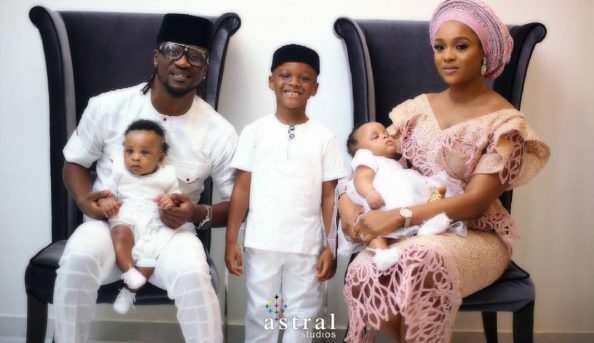 On April 11, 2013, Anita gave birth to their son Andre in Atlanta, Georgia and on March 22, 2014, Anita Isama officially became Anita Okoye. The two got traditionally married in Port Harcourt and legalised their union two years ago at the Ikoyi Registry. On July 9, 2017, the world welcomed the two beautiful twins of Paul and Anita. They were born in a hospital abroad, but soon arrived to Nigeria to be properly introduced to their daddy and older brother. The twins are named Nadia and Nathan, and they are just the cutest babies in the world!